A World of Many Hats and Not Enough Shoes - We LOVE Visits From Friends! We LOVE Visits From Friends! The first day we visited The Spot. 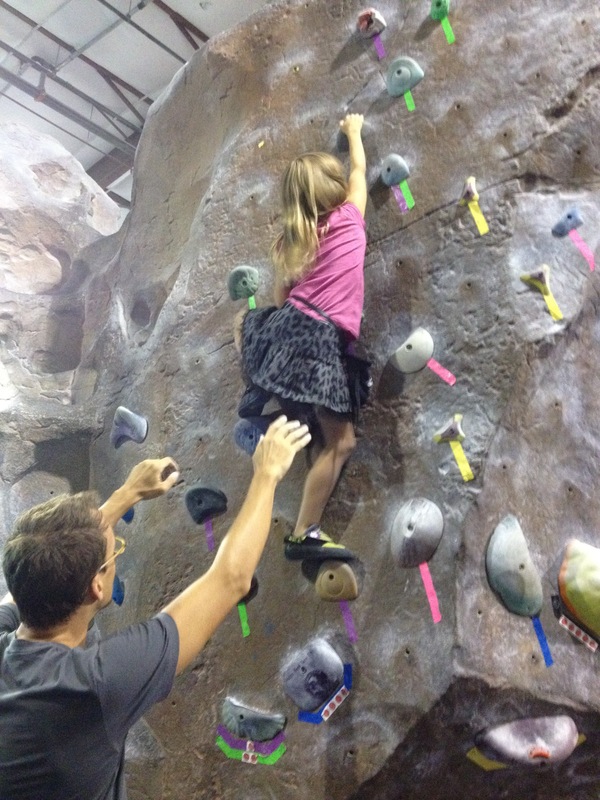 Though it is large, I'd call it a hole-in-the-wall climbing gym, but in a wonderful, good way. 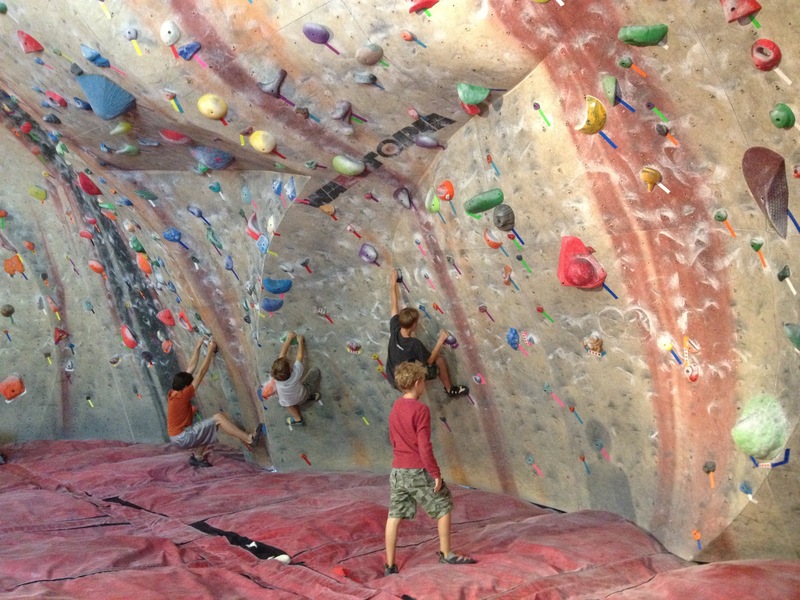 It is an amazing place for those who love bouldering, though it does offer some sport climbing routes and a slackline. 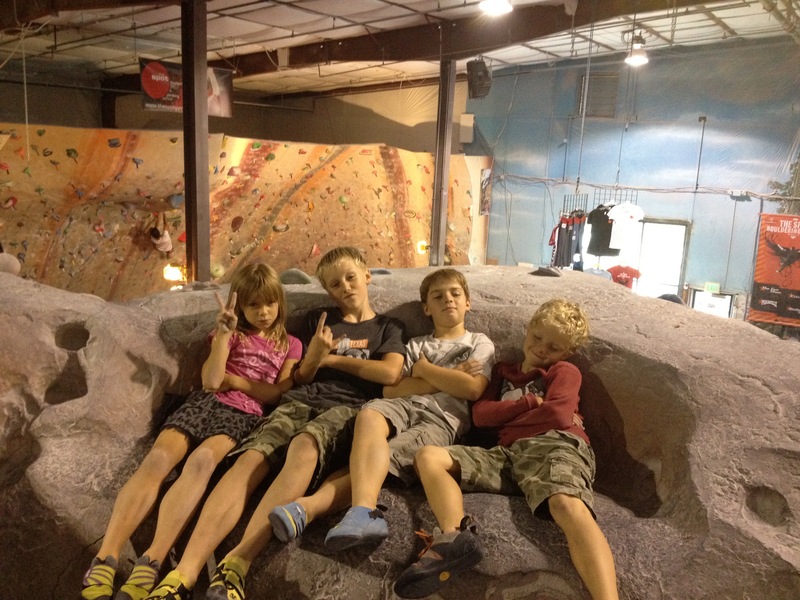 Our three and their two friends had a blast bouldering as it is quick and easy to move around routes by yourself and you don't always need to have a spotter thanks to all the thick pads (and them never getting up too high). The next day, our group of friends decided to hike up Mt. Chapin. Mt. Chapin is located in Rocky Mountain Naitonal Park, which you can access through Estes Park. Once you get into RMNP, you need to take Old Fall River Road to get to the Mt. Chapin trailhead. Old Fall River Road was simply Fall River Road when the road was first started in 1913 and was the only connection between Estes Park and Grand Lake, the city located opposite Estes on the other side of the Continental Divide. The dirt paved road was narrow, notoriously steep with sharp hairpin turns, but was used primarily until 1932 when the beginning section from Estes to the top was replaced by the current, nicely paved, more gradual, Trail Ridge Road. Again, this is how you get to the Mt. Chapin trailhead. 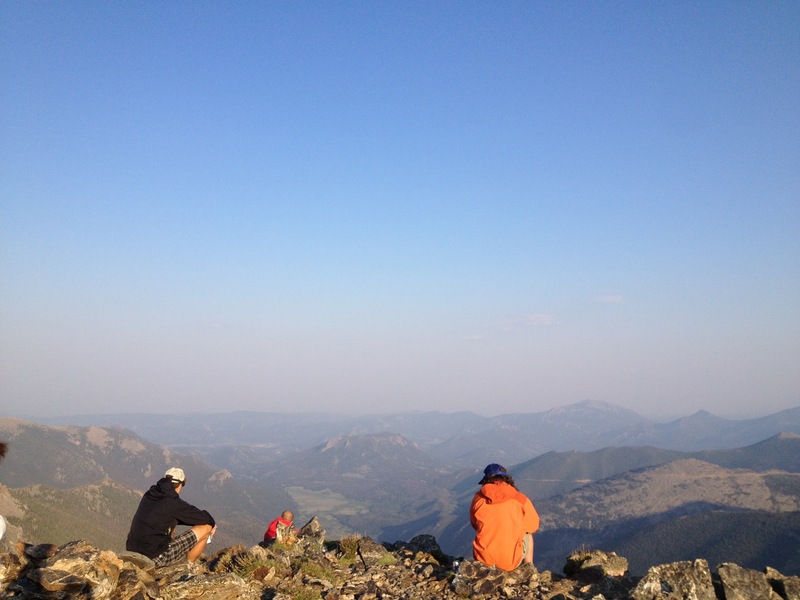 The trail itself starts around 11,025 ft and tops out up at Mt. 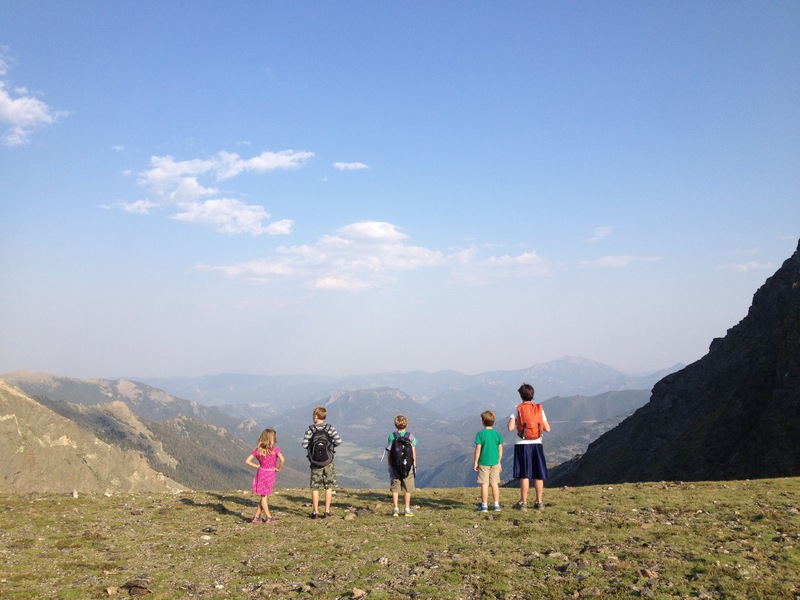 Chapin's 12,454 ft summit and is only 3.6 miles round trip, making it a great trail for kids. It's also great for kids because it starts near tree-line, so a lot of the trail is not buried in the tress and is visible, with an end/goal/summit in sight. 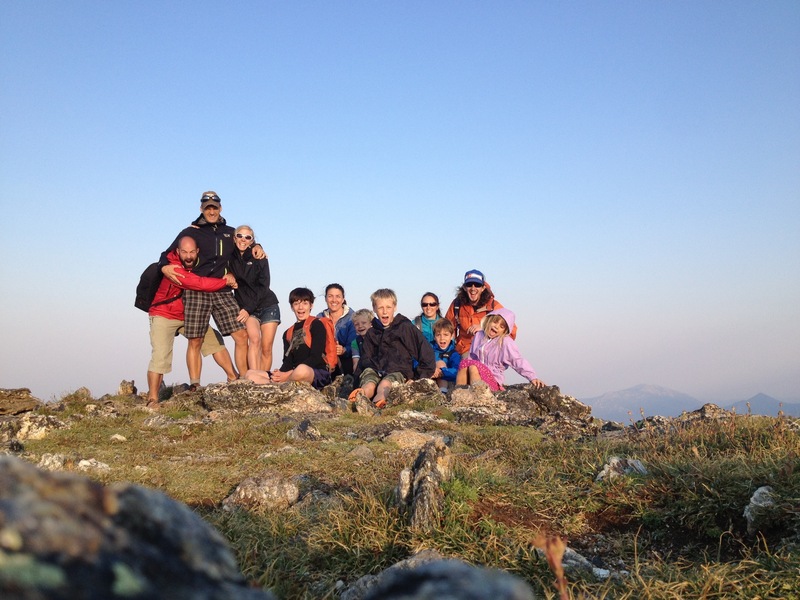 Like I've always said, we do have some kids who do not enjoy hiking as much as others; however, having friends on the trail made it much more enjoyable! It was fun to watch the boys pair up and keep each other company, talking about this that and the other, while making the journey. It was also fun to have little Miss M (wearing a dress, of course) to go between hiking to getting a piggy-back ride. For an evening hike, the reward at the end was breathtaking. We made it down and to the cars right at dusk. By the time we made the 24 mile drive back down to Estes, via Trail Ridge Road, of course, it was pitch black out. We grabbed a quick bite to eat before making the 45 minute drive back down to our home in Boulder. What beautiful days with beautiful friends. No Responses to We LOVE Visits From Friends!